Whilst I'm having an enforced break from the internet and all things screen-based, I thought I'd add a filler post share some new(ish) food products I've tried recently and liked that might interest some of you. It is FABULOUS. The taste and texture are as good as I expected - if you've never had raw chocolate, it's kind of hard to describe, but it's incredibly rich, full flavoured and has a lovely soft, slightly crumbly and yet creamy texture. A small amount is really very satisfying - and the blocks are only 45g anyway, so over-indulging is not all that likely. 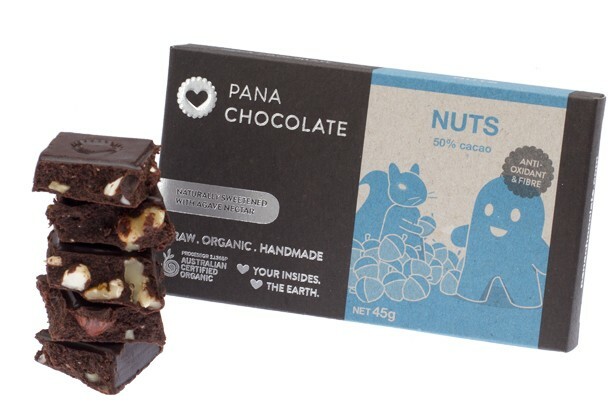 All of Pana's products are organic and made from only real food ingredients, so no nasty additives or chemicals. Which is just how I like my food - made of food. Then I read a review of the product over at The Scoop on Nutrition.... and Emma gave them the thumbs-up. 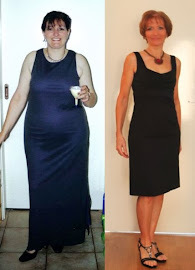 Now, I've met Emma and she strikes me as someone who knows her nutrition stuff - which she ought to be, since she's an Accredited Practicing Dietician. So I tweeted her and asked a couple of questions, and her answers prompted me to go out and buy a pack so I could make an informed judgement. - There are many worse breakfast options out there. - They're conveniently packed in single serving sizes, so you're less likely to overeat them. 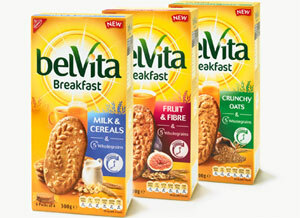 - They're great for those who might not eat breakfast otherwise. I have a fussy teenager who often tries to skip breakfast - these are perfect for him. He takes them in the car (usually along with an Up & Go drink) and can eat them on the way to school, or worst case scenario, he can have them a bit later when he feels hungry. Bike Boy also finds them good as one of his snacks when he's out on the road bike - a pack fits nicely in his jersey pocket without making a mess and provides much-needed carbohydrate for refuelling on the road. Bottom line: they're worth a try. "Better than no breakfast at all" I should work for Kraft, writing their advertising slogans. 3. And last but not least, an oldie as new things go, which I took a while to catch onto: Chobani yoghurt. The reason I missed these when they were first launched here is that I shop at Coles and in the beginning, only Woolworths stocked this brand. Now both of the supermarket behemoths sell them, so it's never a problem finding it. There are two things I love about this product: 1) the high level of protein; and 2) the fact that it contains nothing but milk and live cultures. The unflavoured one, anyway. There are some yummy flavours too, but those contain other ingredients - notably fruit - so of course the nutrition stats are a bit different. The plain Greek is my go-to these days, and I can always add my own fresh fruit. I also love that the range comes in single serving-sized containers. Oops, that's three things I love about it. Creamy pots of proteiny goodness. What new food products have you discovered recently? Disclaimer: This is not a sponsored post. I purchased the products I've reviewed here with my own funds. Except the chocolate...my husband bought me that, bless his heart. 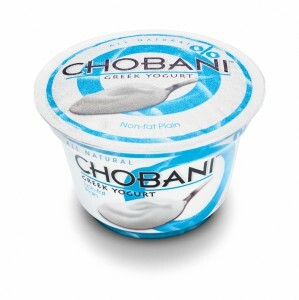 Loove that Chobani Greek 0% Yoghurt and I'll be going past an IGA today so that choc is on the list. Looks and sounds delish!